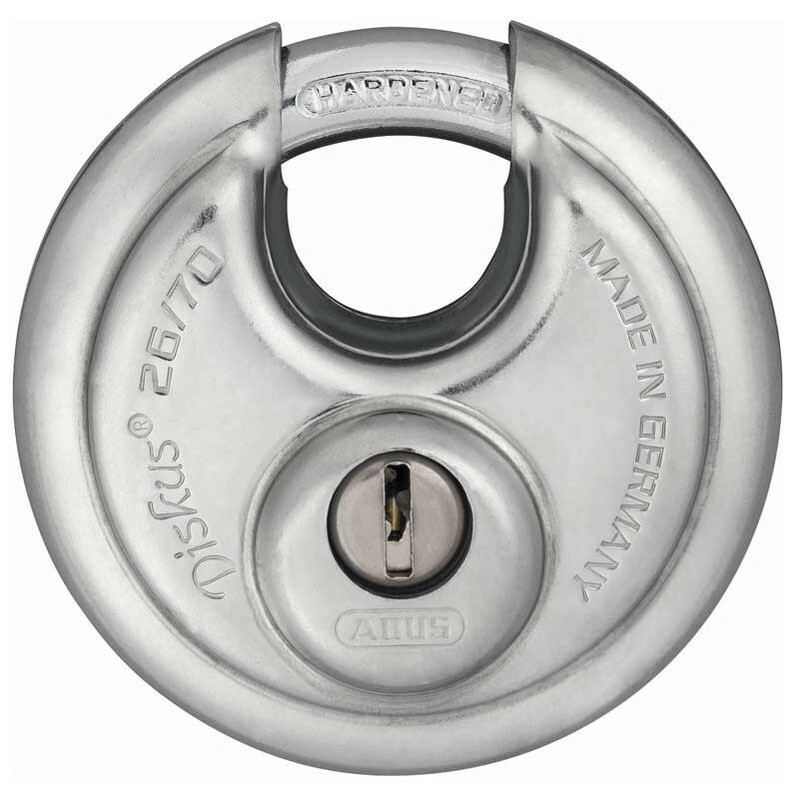 The ABUS Diskus lock is a special kind of padlock with some distinct advantages. The disk shape itself effectively combats the most common ways of forcing it open. The design with only a small opening in the shackle makes it very difficult to tamper with. As these disk locks are made mainly of stainless steel, they are used especially where both security and protection against corrosion are required. The 26 lock is used to secure trucks, vans, doors, gates, barns, etc. The cylinder offers extra drilling and pulling protection.